OCTOBER FIRM VISIT & HAPPY HOUR! 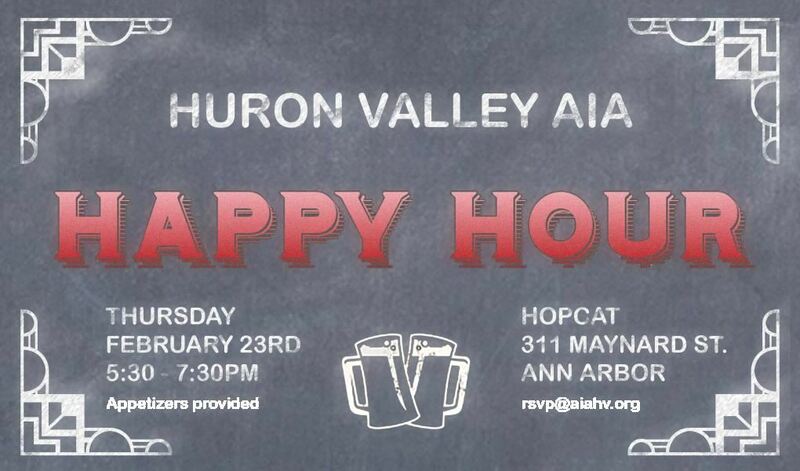 Free Event - Food & Drinks provided! 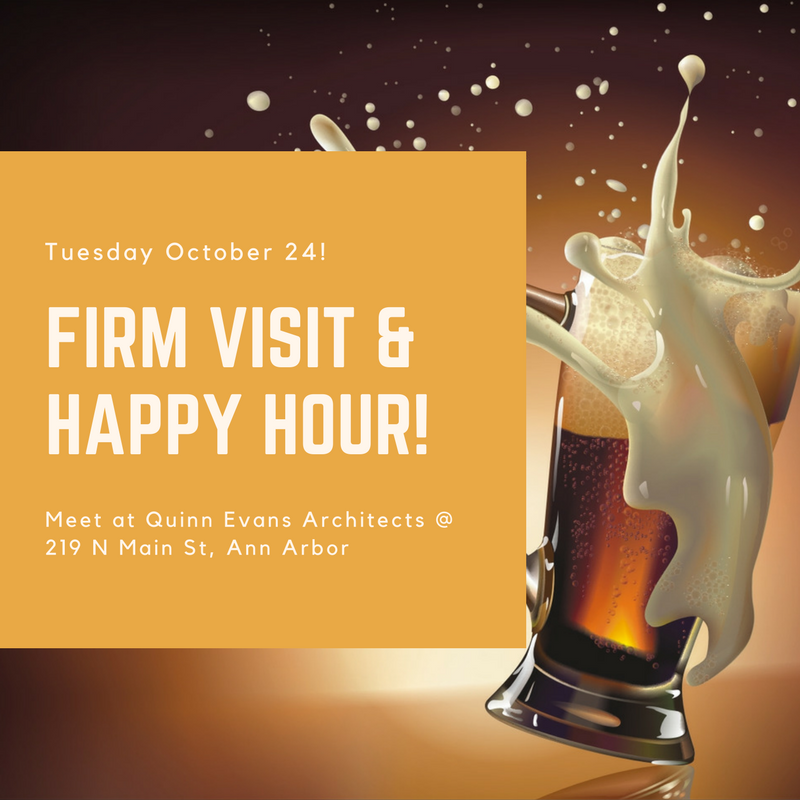 Join us Tuesday, Oct 24th from 6-8pm at Quinn Evans Architects (219 ½ N. Main Street, Ann Arbor) for a Firm Visit & socializing! Food & drinks provided by Quinn Evans! !